MANILA, Philippines – Days before the Philippines is set to mark the 44th anniversary of the declaration of Martial Law, President Rodrigo Duterte made another callback to history: announcing his plan to revive the Philippine Constabulary (PC). He needed to do so, he said, to fight urban terrorism. But it became infamous during the martial law years of the late president Ferdinand Marcos, who used the PC to implement his strongman rule and arrest those deemed critical of the dictatorship. On September 21, 1972, Marcos signed Proclamation 1081, placing the Philippines under Martial Law purportedly due to the communist threat. But his diary entry for September 22, 1972 cited the alleged ambush of then defense secretary Juan Ponce Enrile as the triggering force behind the declaration. Marcos went on national television on September 23, 1972, to make the formal announcement. But even before the declaration, Marcos’ plan to take over government had been known to a number of people. According to the Official Gazette, the late Senator Benigno Aquino Jr had exposed “Oplan Sagittarius” during his September 13, 1972 privilege speech. Aquino spoke about a supposed plan to place Metro Manila and outlying areas under the control of the PC. 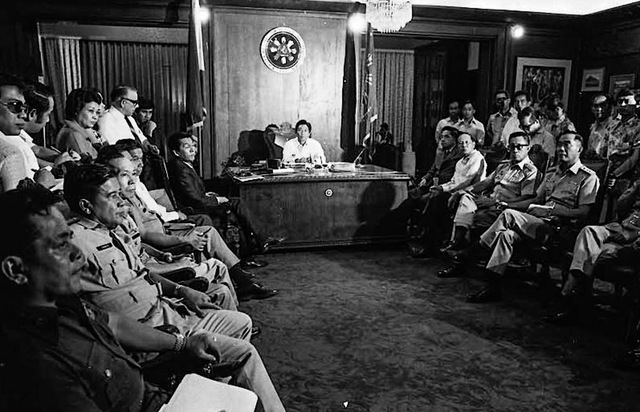 Following the declaration of Martial Law, the PC took the lead in its implementation. Marcos had ordered the takeover of private establishments and the arrest of activists – orders followed through by the PC. Under Presidential Decree 170, signed in April 1973, the defense secretary was given the power to place any city or municipal police force under the control of the PC. The martial law years came to be remembered by some as a time of strict discipline, but to hundreds of victims of the Marcos years, it was a dark period of human rights abuses. Marcos’ orders gave the military the authority to arrest and detain anyone going against the government or deemed subversive. In General Order No. 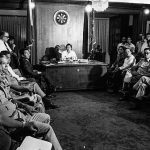 62, issued in October 1977, Marcos allowed the defense secretary and his authorized law enforcement officials to issue an arrest, search and seizure order (ASSO) for various offenses ranging from robbery and arson to murder and kidnapping. The victims who were picked up during that time remember being detained on trumped up charges or unclear allegations. But arresting and detaining known oppositionists were not the only tasks of the military and the PC then. Various historical and personal accounts point to them as the ones behind the torture and killing of hundreds. Former congressman Neri Colmenares was one of those arrested and tortured by members of the PC. When he was arrested as an 18-year-old activist, he was strangled and made to play Russian Roulette – a torture method where a bullet is loaded into one chamber of a revolver, the cylinder spun, and the victim forced to pull the trigger to his own head. The most notorious of these units were the 5th Constabulary Security Unit (CSU) and the Metrocom Intelligence and Security Group (MISG). The 5th CSU was known for the capture of communist leaders, such as Communist Party of the Philippines founder Jose Maria Sison. The dreaded unit became infamous for its use of various torture methods, such as water cure, electric shocks, and psychological torture. Among its prominent members were then Lieutenant Rodolfo Aguinaldo, Lt. Colonel Billy Bitbit, and Lt. Colonel Rodolfo Tor. Abadilla and two comrades, Robert Ortega and Panfilo Lacson, “tortured together for over a decade,” McCoy wrote. The historian said Marcos’ interrogation units “practiced a distinctive form of theatrical torture” that relied more on psychological humiliation than physical pain. From 1972 to 1981, an estimated 70,000 people were imprisoned, 34,000 tortured, and 3,240 killed, according to Amnesty International. This led to the signing in December 1990 of Republic Act No. 6975, “An Act Establishing the Philippine National Police under a Reorganized Department of the Interior and Local government (DILG),” which took effect on January 1, 1991. The merger of the PC and the Integrated National Police – the police force for cities and large towns – led to the organization of the current Philippine National Police, which became operational on January 29, 1991.